The furry creatures many of us call our best friend may harbor a bug that can, in rare cases, be life-threatening to humans, as one 70-year-old woman from England found out. Her unusual case is described in the medical journal BMJ Case Reports. The woman first developed slurred speech and became unresponsive. An ambulance rushed her to the hospital where she improved, but four days later she developed confusion, a headache, diarrhea and a high fever, and her kidneys began to fail. Blood tests revealed she had sepsis, or blood poisoning, which resulted in organ failure. For doctors, her dire condition presented a medical mystery. A battery of tests finally determined the culprit: a bacterium commonly found in the mouths of dogs and cats, called Capnocytophaga canimorsus. Doctors sometimes see Capnocytophaga canimorsus infections in people who've been bitten by dogs, but what made the woman's case unusual was that she hadn't been bitten -- when she entered the hospital, she didn't have any bites, scratch marks, inflammation or broken skin. She did own a pet Italian greyhound, reported doctors from the Department of Medicine for the Elderly at the University College London Hospitals who wrote up the case report. They titled their paper, "The lick of death: Capnocytophaga canimorsus is an important cause of sepsis in the elderly" because the woman had said she'd petted her dog closely and it had licked her. Dr. Bruce Farber, chief of infectious diseases at North Shore University Hospital and Long Island Jewish Medical Center in New Hyde Park, New York, told CBS News that physicians have known about this bacteria for decades. "This is an organism carried in the mouths of dog and it causes a very bad sepsis infection. But it's usually in people who are immuno-compromised and usually follows a dog bite. But this is unusual because it was a lick," said Farber. He said, either way, it's very uncommon. "I've probably seen two cases in 30 years of doing infectious disease." The authors of the case study said they wanted to flag that a pet's licks can transmit the bacterium, too -- not just a bite. They wrote, "This report highlights that infection can occur without overt scratch or bite injuries. It also reminds us that the elderly are at higher risk of infection, perhaps due to age-related immune dysfunction and increasing pet ownership.? As cute as photos and YouTube videos of babies getting "kisses" from their pets are, Farber cautioned parents and caregivers to keep newborns away from dog and cat salvia. "Dogs shouldn't be licking newborn babies," he said. Their immune systems aren't mature enough to fight off this type of infection. "At about after two to three months, then everything's fine." Farber said the initial symptoms of Capnocytophaga canimorsus infection -- fever, chills, sweats, lack of energy -- can look like lots of illnesses, but what sets this type of infection apart is that a person rapidly becomes very ill. The upside is that it's easily treated with common antibiotics. "It is very well inhibited by penicillin and cousins of penicillin," said Farber. Shelley Rankin, associate professor of microbiology at Penn Vet, had praise for the study authors. "They've done a really nice job of tying everything together with her case," she said. Rankin assured pet owners infections of this type are very rare. "There have only been about 13 cases reported in the entire United Kingdom, and I'm guessing on a similar scale in the U.S."
However, some deaths linked to the bacteria have been reported. Rankin said, "In support of all things furry, this is a normal flora in the mouth of dogs." Farber concurred, "The last thing you want to do is alarm people that they'll be infected if they get licked or kissed by a dog." If there's any concern after a bite, lick or scratch from a pet, check in with your doctor. Luckily for the woman in the BMJ case report, two weeks of intensive care and antibiotics brought around a full recovery. The American Veterinary Dental College is waging a campaign against anesthesia-free dentistry for dogs and cats, complete with a new website for pet owners and general practitioners. At the same time, Pet Dental Services Inc., a national provider of anesthesia-free dentistry, is moving forward on a study with the working title A comparison of oral examinations and dental cleanings in non-anesthetized and anesthetized dogs. The AVMA and American Animal Hospital Association recently stated that dental cleanings should be performed under anesthesia. According to the 2013 AAHA Dental Care Guidelines for Dogs and Cats, General anesthesia with intubation is necessary to properly assess and treat the companion animal dental patient. Anesthesia-free dentistry is growing across the country, nevertheless, as many pet owners perceive a need for pet dental care but fear the risks of anesthesia and as more general practitioners offer the service, generally via a third-party provider. The 2004 AVDC position statement Companion Animal Dental Scaling Without Anesthesia states that the procedure is inappropriate for a number of reasons. Even slight head movement by the patient could result in injury to the oral tissues of the patient, and the operator may be bitten when the patient reacts, according to the statement. Also, access to the subgingival area of every tooth is impossible in an unanesthetized canine or feline patient. According to the statement, inhalation anesthesia with intubation provides three advantages: the cooperation of the patient with a procedure it does not understand, elimination of pain resulting from examination and treatment of affected dental tissues during the procedure, and protection of the airway and lungs from accidental aspiration. Also according to the statement, A complete oral examination, which is an important part of a professional dental scaling procedure, is not possible in an unanesthetized patient. The AVDC launched its website on anesthesia-free dentistry, www.avdc.org/AFD, about a year ago. The college collaborated on the site with the Academy of Veterinary Dentistry. The sections of the site are The Facts, For Pet Owners, and For Veterinarians. Dr. Curt Coffman of Arizona Veterinary Dental Specialists, an AVDC board member, said providers of anesthesia-free cleanings are able to clean some parts of the mouth but cannot see or reach all the parts. The teeth look cleaner, he said, but yet, there are other parts of the mouth that havent even been examined, let alone cleaned, and those parts can still be diseased. Effective in 2014, Dr. Coffman's neighboring Nevada amended the state veterinary practice act to require that veterinary dentistry including cleanings be performed under anesthesia. Dr. Coffman said clients need education about anesthesia. 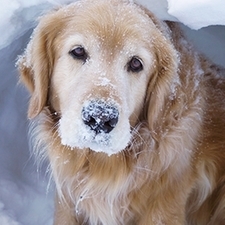 He said, No matter what your dog and cat's age or what your dog or cat's condition, almost every pet can have anesthesia. The AVDC position statement does not address radiography, but Dr. Coffman noted that intraoral radiography allows for evaluation of the whole mouth above and below the gumline beyond what a veterinarian can see even in anesthetized patients. He noted that dogs and cats really do need to be asleep for radiography. Joshua Bazavilvazo, Pet Dental Services founder and chief executive officer, said a pilot study of his company's 11-step procedure for anesthesia-free cleanings sparked the interest of many in the veterinary community. The pilot study involved 12 dogs, and the follow-up study now in progress involves 60. The investigators on the current study include two veterinary dentists and two veterinary technician dental specialists. The hope is to complete the study by the summer. I know what we do is beneficial for the pet, and it is a viable medical procedure that can be proven, Bazavilvazo said. Many pet owners want anesthesia-free dentistry, Bazavilvazo said. He said they are considering factors such as preventive care, safety, expense, and convenience. Pet Dental Services provides cleanings only under the supervision of veterinarians. Bazavilvazo considers anesthesia-free cleanings to be complementary to cleanings performed under anesthesia. He said, At every single practice that we work in, the anesthetic dentals go up because we find so much pathology just during our oral examination, before the dental is even started. Anesthesia-free cleaning might be an option for a young dog with mild buildup. Veterinarians say, well, youre not quite ready for an anesthetic dental yet, Bazavilvazo said. So we would fit in and be able to take care of the pet's teeth as a preventive measure. In another scenario, a dog might undergo dental procedures under anesthesia to address pathologic changes, then an anesthesia-free cleaning six months later to remove buildup. Bazavilvazo said anesthesia-free cleanings also might be an option for pets that truly cannot go under anesthesia. Pet Dental Services employees learn behavioral management techniques to enable them to clean pets teeth without anesthesia, Bazavilvazo said. After ruling out animals on which anesthesia-free dentistry cannot be performed because of behavior or pathologic lesions, employees are able to work with almost all dogs and about three-quarters of cats, he said. Bazavilvazo believes veterinarians main concern with anesthesia-free cleanings is that there is no certification process for individuals performing these procedures. Plus, some providers of the service don't work under the supervision of veterinarians, even though state practice acts generally define dental cleanings for cats and dogs as part of the practice of veterinary medicine. Soon after the 2013 release of its dental guidelines, AAHA started requiring AAHA-accredited hospitals to anesthetize and intubate patients undergoing dental procedures, including dental cleanings. Cleaning a companion animal's teeth without general anesthesia is considered unacceptable and below the standard of care, according to the guidelines. Dr. Heather Loenser, AAHA veterinary adviser for public and professional affairs, said anesthesia during dental procedures first allows for intubation to protect the airway. She said anesthesia also allows for thorough cleaning and for thorough evaluation of the oral cavity, including dental radiography. I think these points are very valid, and they resonate with veterinarians, Dr. Loenser said. Dr. Loenser believes that the biggest advance in veterinary dentistry recently has been an understanding of the importance of dental radiography. She said dental radiography has been a nonmandatory standard for AAHA-accredited hospitals since 2003. In 2014, the AVMA House of Delegates approved adding the following statement to the AVMA policy on Veterinary Dentistry: When procedures such as periodontal probing, intraoral radiography, dental scaling, and dental extraction are justified by the oral examination, they should be performed under anesthesia. The AVMA Council on Veterinary Service oversees the policy and has formed a subcommittee to investigate nonanesthetic dentistry. Dr. Christopher Gargamelli, a member of the subcommittee, believes the AVMA is unlikely to revise the policy before the regular five-year review unless scientific literature on the topic emerges. After observing anesthesia-free dentistry, Dr. Gargamelli said that he personally can see a place for the service in veterinary practice but only under the supervision of a veterinarian and within a veterinarian-client-patient relationship as an addition to cleanings and radiography performed under anesthesia. Say you have a dental cleaning under anesthesia every one to two years. Some patients may need more dental care than that, he said. Having this nonanesthetic dentistry performed may be a good fit for that patient. Dr. John de Jong, chair of the AVMA Board of Directors and owner of Newton Animal Hospital in Newton, Massachusetts, offers anesthesia-free cleanings in his practice under contract with Animal Dental Care Inc., another national provider of the service. Dr. de Jong was highly skeptical of the service until he saw a demonstration. All the dogs, including his two dogs, sat quietly as the company's employees did a very thorough and professional job, he said. He said, For clients that refuse to have their pets undergo anesthesia or balk at the cost of a dentistry under anesthesia, I believe that a conscious dental cleaning can be a valuable adjunct to a complete and thorough oral health care plan. Dr. de Jong's practice team tries to get clients to brush their animals teeth, but toothbrushing generally doesn't happen. So when the veterinarians find tartar and plaque, they explain the options and costs to clients. If an animal obviously needs an extraction or further exploration, then an anesthesia-free cleaning is not an option. Animal Dental Care refers to its procedure as preventive cleaning and assessment, Dr. de Jong noted, and the company still advocates for dental procedures and radiography under anesthesia. Dr. de Jong considers anesthesia-free cleanings to be very successful at his hospital, and he has noticed the service growing across the country. I am hopeful that the AVMA and AAHA might consider changing their current positions on anesthesia-free dental cleanings, Dr. de Jong said. Like many other colleagues that I respect, I was willing to consider the possibility and clearly saw a place for these procedures. Most dog lovers probably won't be surprised, but man's best friend may have talents far more impressive than fetching a ball or shaking a paw. Researchers in Saskatchewan say regular visits with a therapy dog can improve your mental health and well-being. The team went to three addictions and mental health treatment sites in the Saskatoon Health Region and spent six months at each one. Therapy dogs have often been praised for their abilities. In this particular study, the words from the adult clients, staff, and observers speak volumes. According to the researchers, one staff member reported, "Client rolling in grass laughing while dog was licking her, snuggling. Heard the client state, 'I love you. I want to take you home." "The meeting was more than I thought it would be," one client at the Calder Centre said. "Animals are in the moment and live each moment in the present. It was a nice reminder." "The word love was said many times. With the one-on-one experience the person felt comfortable to open up," an observer cited in the research project said. "I could see it on her face, the love she felt from [the therapy dog]. She kept on smiling during her entire session." The research was collected by Colleen Dell from the University of Saskatchewan, Darlene Chalmers from the University of Regina and James Gillett from McMaster University. It is being released to coincide with National Addictions Awareness Week from Nov. 15-21. Dell said she was surprised at how consistent the results were from all three centres, whether it was youth, seniors or groups of people. While she admitted it's not an easy area to research, Dell is confident in the findings. "The dogs can have an impact on an individual's healing journey in a multitude of ways, from providing comfort through to increasing therapeutic alliances with service providers," Dell said in a news release. Chalmers said the team plans to expand on this research for a series of other studies. "There is so much to be learned, and from other species too, such as horses," Chalmers said. "The theme of Addictions Awareness Week this year is 'Addictions Matters.' And it is precisely for this reason that our team has stepped outside the box, so to speak, to research an intervention that can potentially support long-term recovery." On Friday, October 2nd, the Wyoming Department of Health confirmed its first recorded human rabies case in the state. Case confirmation came from the Center for Disease Control and Prevention, which conducted confirmation testing. Details of the case are not available, but multiple sources reference a woman from Fremont County who remains hospitalized with the deadly disease. The source of infection has not yet been released. The Wyoming case is the first human rabies infection reported in the United States since June 2013. 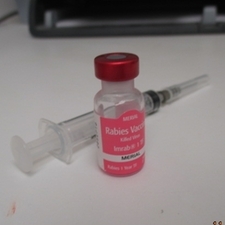 Rabies is considered endemic in 150 countries and found on all continents, except Antarctica. The disease is transmitted from infected animals through saliva. It is generally considered to have a 100% fatality rate, one of only a few with this degree of pathogenicity. However, there have been reports of unvaccinated individuals found to have antibodies, suggesting previous exposure/infection. Moreover, in 2004, a 15-year-old girl became infected with rabies in Wisconsin and survived, due to a radical new treatment method, now known as the Milwaukee Protocol. However, since its first successful treatment of Jeanna Geise in Wisconsin, the Milwaukee Protocol has proven effective in only six out of 41 patients. Rabies is a vaccine-preventable disease, for both humans and animals. Worldwide, domestic dogs are the most common source of human infection. However, this threat has largely been abated in the United States by dog vaccination programs and bats are now considered of greatest risk of transmitting the infection to humans. Human rabies infections in the United States are rare, with 34 cases occurring since 2003 and only 24 of them acquired domestically. Although there is an effective vaccine to prevent rabies infection, more than 55,000 people die from rabies each year around the world . Preventative human rabies vaccines are expensive, and generally only given to those in high-risk professions or situations. The best prevention method is avoiding contact with unknown or wild animals . Pets should be kept under supervision and regularly vaccinated by a veterinarian, and individuals should not touch or interfere with wildlife . After possible exposure and following all animal bites, individuals should seek medical attention immediately ? as there is effective post-exposure prophylactic vaccination available .